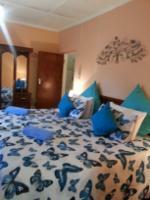 Come and experience that feeling of being at home at this bed and breakfast situated in the picturesque area of the Eastern Cape known as Maclear.The establishment offers four double rooms, three single rooms and one self-catering unit with a kitchen and double room, One family room with a double and single bed, and a twin room with 2 x3/4 beds at present. . All rooms are en-suite; with comfortable beds and are neatly furnished. The rooms include facilities such as DStv, electric kettles for coffee/tea, refrigerators, microwave ovens, irons, electric blankets, wall mounted heaters and fans. The establishment is renowned for its home-cooked meals and superb breakfasts served at times which suit our guests.Secured parking is available close to your room. Maclear makes provision for various types of recreation which among other things include the followingFly Fishing in the numerous streams and dams around, Country club facilities offering golf, tennis, squash, rugby, Gymkhana motor cycle and quad car meetings and lovely club facilities. Abseiling, river rafting, hiking trails and outdoor activities with the basis at the well-known Tsitsa Falls. Bushman paintings, Rock art and Dinosaur footprints can be viewed by arrangement. 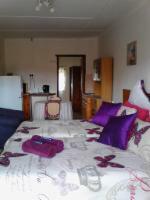 Oak Lane B&B is within reasonable vicinity of other popular tourism destinations such as Tiffindell Ski Resort; 90 kilometers away, Transkei Wild Coast; 180 kilometres away and the Nelson Mandela Museum at Mthatha; 98 kilometres away. 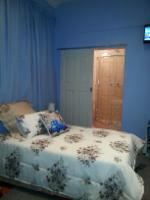 Nelson Mandela’s birth place at Qunu which is 120 kilometres away. We'll received at arrival. Rooms were neat and clean and comfortable. Breakfast was far above expectation. The owners were very friendly and helpful. I will use Oaklane in future. Our hosts were very friendly and the sumptious breakfast is "out of this world" even accommodating my food sensitivities!The room is exquisitely clean an everything we wanted.An absolute joy to overnight there. 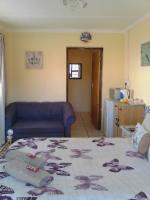 Oak Lane B&B is 1.6km from the centre of Maclear , the nearest airport 64.7km (Mthatha Airport).